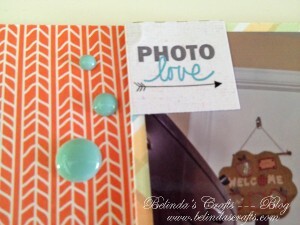 Welcome to my blog series, “Confessions of a Scrapbook Kit Hoarder“. If you haven’t already, please read The Intervention so you can understand the inspiration for this craft adventure. Very excited to use up some of my letter stickers I have been hoarding for the title! 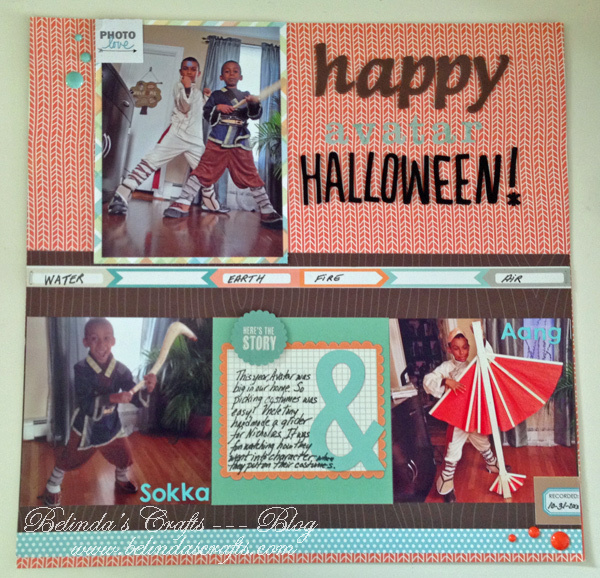 I have another scrapbook layout to share with you. 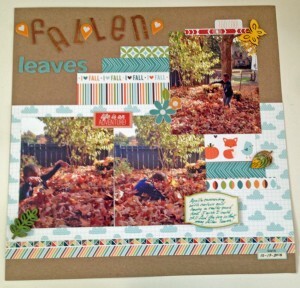 I am on a roll making layouts. I can’t wait until I feel the confidence I used to have when I made layouts. Still grappling with doubt while designing. This layout is so special to me. The background to this layout is that a few years ago, they had this animated series called ‘Avatar the Last Airbender’ on television. All of my brother in-laws and one of my sister-in-laws kept on raving about this show. I didn’t pay much attention to it. My husband bought the DVDs for season 1, 2 and 3 and I still didn’t watch. Then this summer, my boys started watching and I finally did too. Let’s just say from the first episode I was hooked. 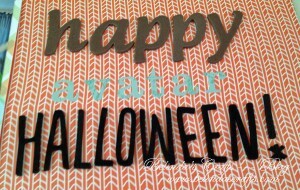 So we watched all the of the disks and became big Avatar fans. Ok, it is official – I am lovin’ the enamel dots from My Mind’s Eye. So when Halloween came around, I knew what they would choose as their costumes – characters from the show. So I ordered the costumes and my brother–in-law handmade a glider for Nicholas to go with his costume. So amazing. As soon as they put on their costumes on they became their characters. It was so much fun. I am sure they will get a lot of wear out of these costumes. 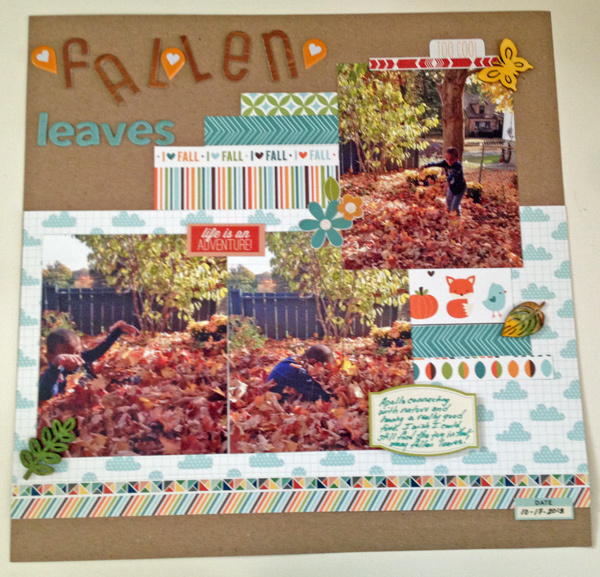 Second layout with October kit. For the layout I used the October kit’s papers and added some My Mind’s Eye enamel dots and Evalicious paper tabs from my stash for added accents. I also used three different letter stickers from my stash which really makes me happy because I sure can hoard letter stickers! 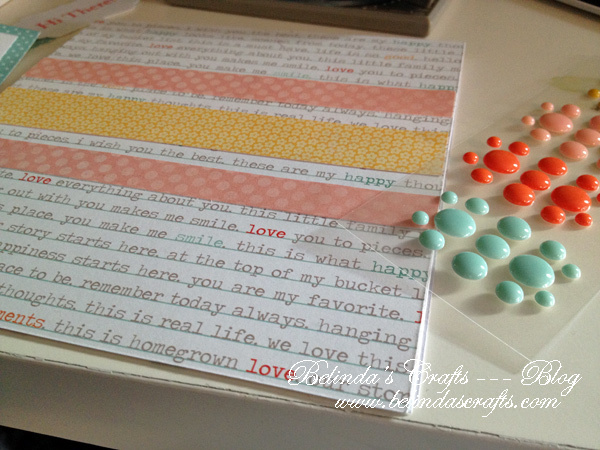 I love this paper because it has some words written in color and it gave me a fun color palette. Hello everyone and happy Friday! Boy do I love Fridays and today despite scattered showers we are experiencing unseasonably warm weather (70degrees)!! Even last night for Halloween we had really warm weather for the boys to Trick or Treat. Tomorrow will be warm too but Sunday we will be faced once again with the reality of the season – cold weather. Brrr…. 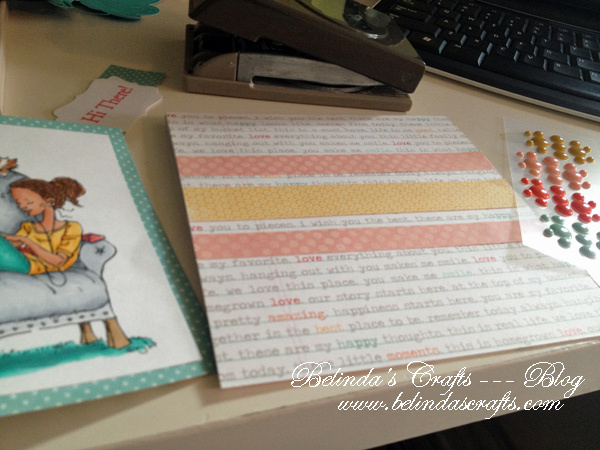 All of the pieces to assemble for the card. 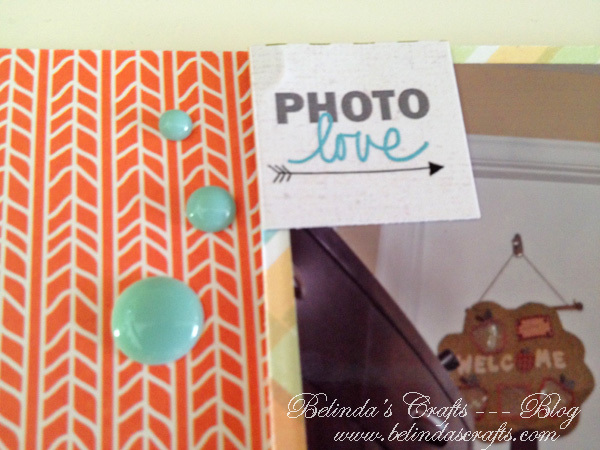 Welcome to my blog series, “Confessions of a Scrapbook Kit Hoarder“. If you haven’t already, please read The Intervention so you can understand the inspiration for this craft adventure. I can not believe we have already reached my 10th post of this series. 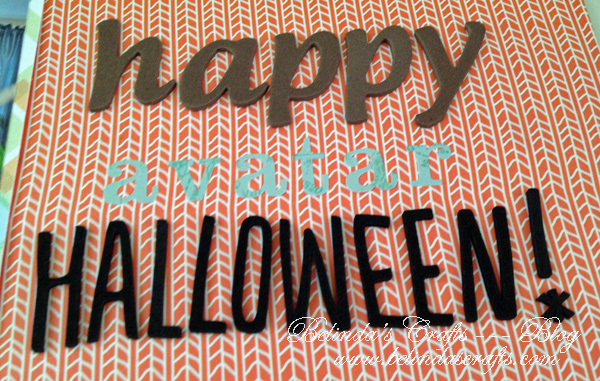 Today I wanted to share a card I completed with the October kit. I love the aqua and golden colors I pulled from the card for my image when I colored her up with my Copics. 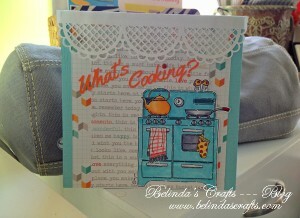 My second card completed from the October kit! Well I am going to go continue plugging away because you know it’s already November 1st and my next kit will be at my doorstep. Looks like this crafter needs to do some major catching up!